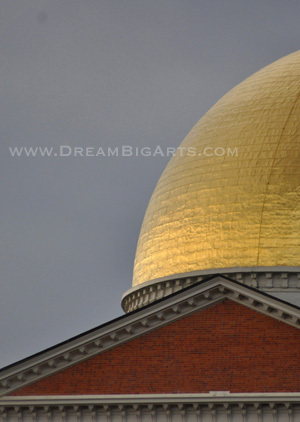 Autumn sunlight caught reflecting off the gold State House dome on an otherwise grey Boston afternoon. A beacon, so to speak, as the State House sits atop Beacon Hill. True Boston imagery captured in an elegant moment.